What a great way to increase your fibre intake…. 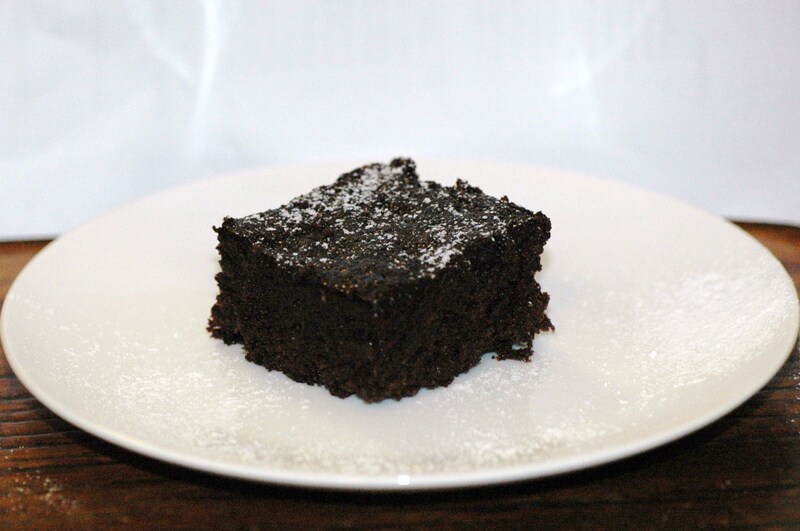 These brownies are delicious, you would not know that they have chickpeas in them! The addition of chickpeas allows the amount of fat you would normally add to brownies to be greatly reduced and of course the fibre greatly increased. I was a bit doubtful myself as to what they would turn out like, but I will definitely be making them again…enjoy! Line a 8″ x 8″ cake tin with baking paper. and eggs. Blend for 10-20 seconds to a smooth consistency. In a mixing bowl, combine sifted flour, sugar and cocoa. Add combined bean mixture to dry ingredients, mix well. Bake for 30-35 minutes, or until brownies are cooked through and knife inserted in the centre comes out clean.